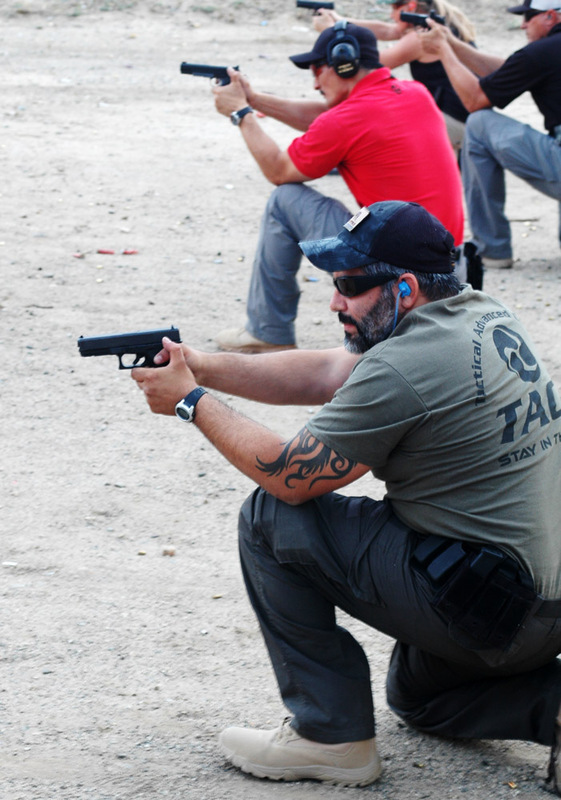 Pistol-II's four modules will provide students with basic combative pistol shooting fundamentals. Prerequisite: Must have satisfactorily completed Pistol-I or equivalent. (Contact TAC -1 for your qualifications) *We highly recommend students to take Pistol-II's four Phases in sequence, however it is not required that students do so. 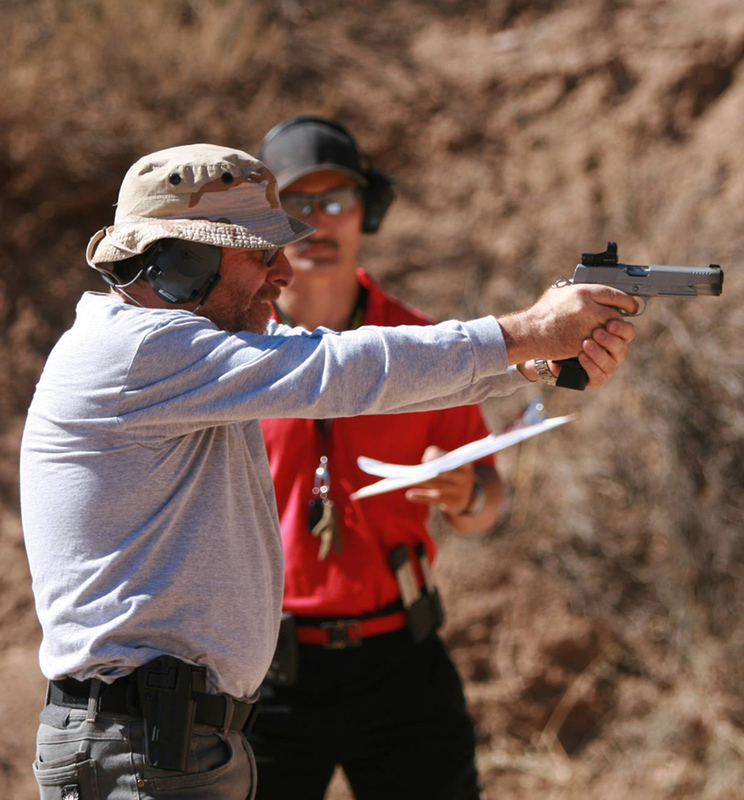 Objective: Pistol-II's four modules will provide students with basic combative pistol shooting fundamentals. Students will spend adequate time on each technique to allow proper acquisition of technique so that the students are not to be rushed through the class. Extensive one-handed marksmanship and fundamental of combat shooting & close quarter battle (CQB) will be covered. The second half of the class will focus on movements and will evaluate the bio mechanics needed to shoot while and on the move. Ideally a shooter should shoot from the most stable position available. Unless adversaries are toe to toe, stationary gunfights are rare. Pistol-II(B) will introduce the concept of shooting from Cover & Concealment and shooting from alternative positions. This challenging 1-day (8 hrs) training course focuses on engaging threats using cover and from different positions. 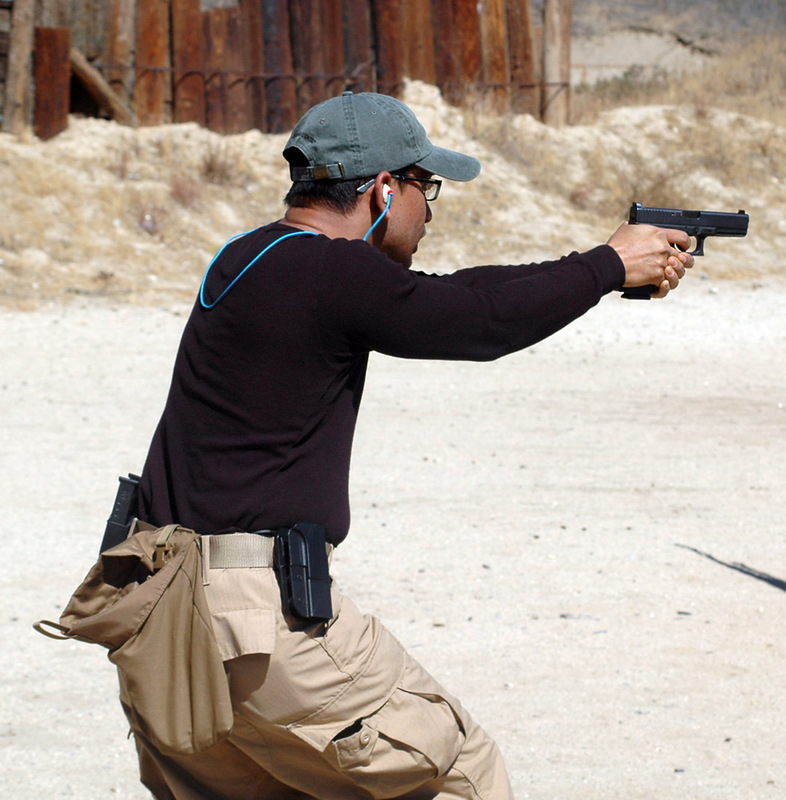 The concepts of moving off the line-of-force and movement to cover while engaging a threat will be emphasized. 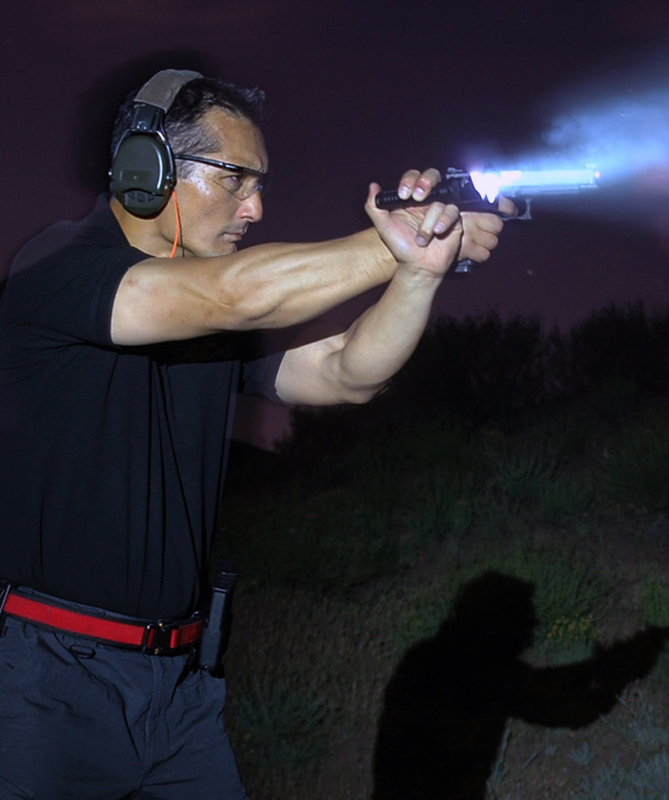 Low Light Pistol: Technical and the practical understanding of the effective employment of the handheld flashlight in conjunction with the pistol in a low light environment will be examined. Various hand held flashlight technique will be presented. Concept of "night vision" will be explained and applied. Pistol-II(D) will assess student's progress and their technical retention of all of the skill sets taught in Pistol-I and Pistol-II. Students will review and be tested on elements ranging from handgun operation, marksmanship, position shooting and movements in a controlled testing environment.